I was raised to think for myself. To be independent. To act confident. To be in control. To be perfect and not make mistakes, or at least not admit that I made a mistake. To keep up appearances. Those last two sentences really hurt as I read them now. They hurt because I realize that I likely missed out on knowing some great people or organizations because I never let anyone know the real me. What am I thinking, I haven’t even known who the real me was until the last few yeas! What it boils down to in a lot of instances was I was afraid to ask for help. To let anyone see I might be struggling with something or heaven forbid have a personal issue. It just wasn’t allowed when I was growing up. I remember having questions on a variety of topics but never asked them. Mom set the rules and expectations and that was that. Real discussions were rare within the house let alone outside the four walls. Real sharing of personal struggles just wasn’t done, especially not with someone on the “outside”. It’s been a process to learn that it’s okay to ask for help with anything. That I sometimes can’t do it on my own. That I need and should involve someone else at times. When I first started my journey to find “me” and realized that a lot of my issues started with how I was raised and with Mom specifically I honestly had no clue how or where to start. My husband suggested I see a Christian counselor. I will admit I was somewhat horrified at the thought initially because that was something way outside my comfort zone and something I’m sure Mom would not “approve” of. He convinced me to give it a try. I did and it was a really good experience. My counselor listened to me try to express what I felt and how I felt and lament that I didn’t know what to do. She gave me some really good insight and some baby steps to start with. She also suggested books by specific authors to start me on my journey with my Mom issues and to find the real “me” and who God made me to be. I know that was my starting point at realizing that it was okay to ask for help. It was okay to be “real” with someone I trusted and share my heart. I would not be thought of as “less than perfect” or judged because I was struggling with something. I might even cry a little (or a lot) and that’s okay too. It’s important to truly trust who you share your heart with. To trust that they won’t judge you but that also that they can give you honest feedback if feedback is needed or asked for. Also, that you can cry while sharing. That last part is important for me because God made me a person of the heart. I take things to heart easily and I cry easily, even over silly stuff. I will admit I used to get punished for being too emotional or crying when I was growing up so I used to stuff my emotions. I’m learning to manage my tangled emotions a lot better but I’m not sure I will ever change the heartfelt crying that sometimes happens when I share my heart with someone. I know God understands my “heart cries” and my tears and knows when they are the result of something that He has brought to my mind or my heart. Especially tears for things that break His heart as well. So, it’s really okay to ask for help. I’ve got some people in my life now that I know I can share my heart with, and even cry if warranted. I also want to be the kind of person that someone would feel comfortable sharing their heart with too. I want to be open and transparent. 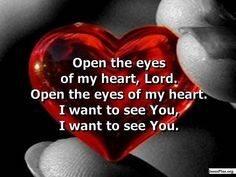 I’m asking God to make my heart open to what I need help with and what He needs me to help with in this world. I want to fuel what I believe is a God-given passion in my heart to help the wounded people of this world, especially women. I’m asking for His guidance and help in the process and for his promptings if this is where I should be.